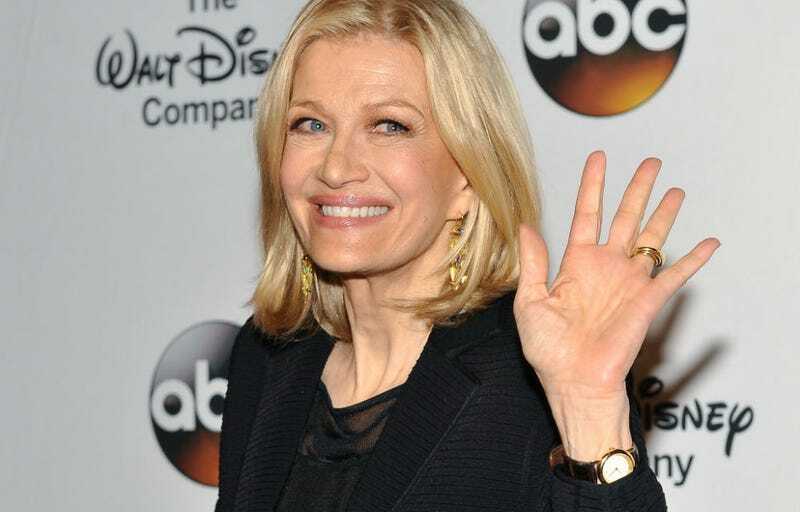 Veteran newswoman Diane Sawyer delivered her final broadcast from the anchor desk at ABC news on Wednesday night. According to ABC, her departure came a few days earlier than expected, but she announced Wednesday on Twitter that evening's broadcast would indeed be her last. According to the Huffington Post, Sawyer helped boost the network's news ratings with exclusive interviews, such as Amanda Knox's first interview. But, as ratings increased, the network was also accused of softening the news under her tenure as host. It has been wonderful to be the home port for the brave and brilliant forces of ABC news around the world and to feel every single night you and I were in a conversation about the day together. Sometimes as we know there have been tough stories on "World news," but you always made it clear, like me, you believe better will come, that the future is one of possibility. And there has been so much to celebrate here as well, connections, community, America, and the generosity of our neighbors next door. I want you to know none of that will change. "World news" is dedicated to what informs, and we always hope helps make your life better. On a personal note, as I said I'm not going far, down the hall, up the stairs, and I am not slowing down but gearing up in in a new way, already at work on some of the stories that take you into the real lives around us, the ones we rarely get to see. Starting next week, the anchor and managing editor, David Muir [her replacement as anchor] will be right here. He is my friend and you are in strong and steady hands. Sawyer, 68, had anchored World News Tonight since 2009. According to ABC, she will continue to work for the network as a reporter, doing investigative pieces and interviews.